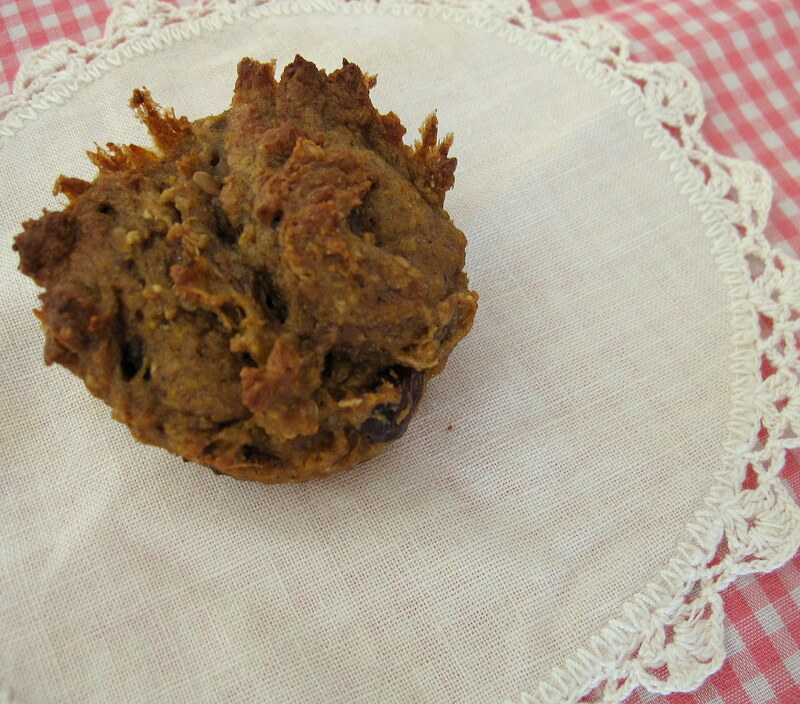 Last week, I adapted this recipe (which has become my go-to, easy to adapt, wholesome muffin recipe). In place of bananas and green tomatoes, I used the orange flesh of two sweet dumpling squashes I had roasted and scooped from their shells. I added 1 tsp. ground cinnamon, 1 tsp. ground cloves and 1/2 tsp ground nutmeg. I also added some freshly grated ginger. Finally I added a handful of dried cranberries. The result…a spicy, moist, smile-inducing treat—the perfect nibble to enjoy with a cup of tea on a a sunny winter afternoon.